Emily joined 2 Temple Gardens in 2016 and is a member of the 2TG Sports Team. Her practice includes acting for clubs and individual athletes in a range of contractual and personal injury disputes. 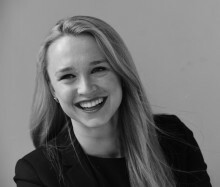 Emily was a member of the 2TG team that acted for a Premier League football club in a high profile and complex contractual dispute with a stadium operating company; she is familiar with the legal and regulatory framework that applies to professional football. Emily has also acted in personal injury claims in both football and motorsport and acts for both claimants and defendants in such cases. Emily also assisted in a rare private prosecution that was brought by a cyclist following the refusal of the police and the CPS to pursue the matter. In 2015, Emily spent six months at the Court of Justice of the European Union as a Judicial Assistant to Judge Vajda and Advocate General Sharpston. She has a strong interest in languages and is an avid skier, having competed in ESF skiing competitions at a national level from a young age.